Ever since ride-hailing apps rose to popularity, most people who live in the city expect there would be an app for almost every need. Want groceries delivered to your doorstep? There’s an app for that. Want a massage at home after work? There’s an app for that, too. There is even an app if you need breast milk. So it was a surprise for the Bugayong siblings when they learned there wasn’t an app that could help them find a nurse for their grandmother in 2016. 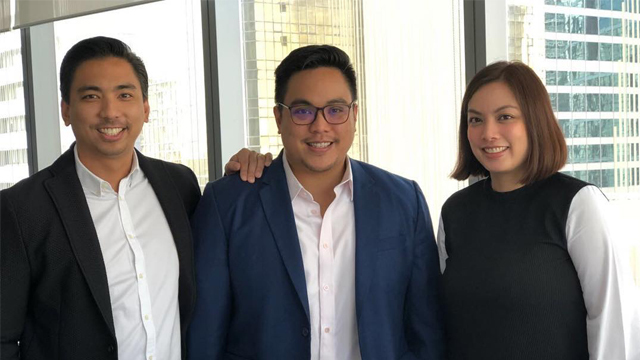 By March 2017, Paolo, with his sisters Pamela Bugayong-Donato, Patricia Bugayong-Reyes and his brother, Patrick, launched Aide, a mobile app that lets users book home visits of health care professionals. 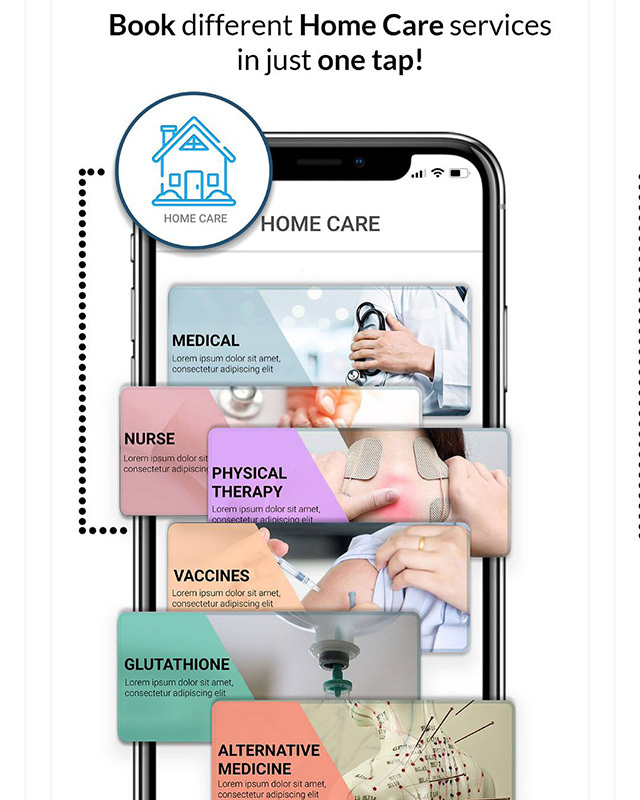 Available for download for both iOS and Android phones, Aide currently allows users to book a home appointment with health experts such as doctors, nurses, physical therapists and even a masseuse and medical technicians who can take specimen samples at home. Those who have pets may also book an appointment with a veterinarian for the vaccination of their dogs and cats. Put simply, it’s for someone who doesn’t want to line up in any hospital just to get a regular check-up or have a laboratory test done. Users may book appointments anytime, seven days a week but of course, it’s subject to availability of their requested practitioner. Aide charges users Php200 for every appointment in any category but consultation fees can go for a minimum of Php1,500 to as much as Php5,000, depending on the user’s location. Currently, the service is available for residents of Metro Manila and selected areas in the cities of Cebu and Davao. 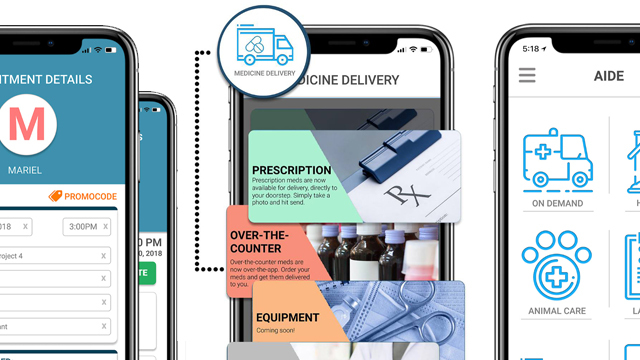 The app also allows users to have medicines delivered—even those who need prescription—including medical equipment. With minimal marketing effort, the app now has 18,000 registered users, around 20 percent of which are considered “active” or have used the app more than once since they downloaded it. At least 70 percent of the user base are women aged 29 to 44 years old and/or are moms. “They [active users] are usually spending close to an average of Php10,000 for medical care for the family in the course of their entire history in the app since they will book doctor’s appointments for different members of the family then have laboratory tests done,” Paolo added. Filipino users are not the only ones excited with the app’s service. When Aide launched, Paolo said they were overwhelmed by the warm response of medical practitioners with close to 2,000 trying to register in the app to date. It helped that the subscription fees for medical practitioners who want to get on board in the platform are relatively affordable. The annual fee is only Php5,000 while quarterly fee is Php2,000. “Instead of doctors investing in a clinic, they can now just stay at home and wait for bookings,” Paolo said. Still, the app’s founders are keen on keeping their standards high. Paolo and his siblings personally interview all medical practitioners who want to register as health professionals. Interested applicants are also required to provide a copy of their Professional Regulation Commission (PRC) credentials. Users and medical practitioners alike are also given the power to rate each other through the app. By the end of the year, the company is hoping to reach 24,000 users and will soon launch a new feature that would allow users to save their laboratory test results in the app for historical data. “Our new goal is focusing on making the app sticky for users,” Paolo said.